What do Charles Lindbergh, John Lennon and university namesake George Washington have in common? 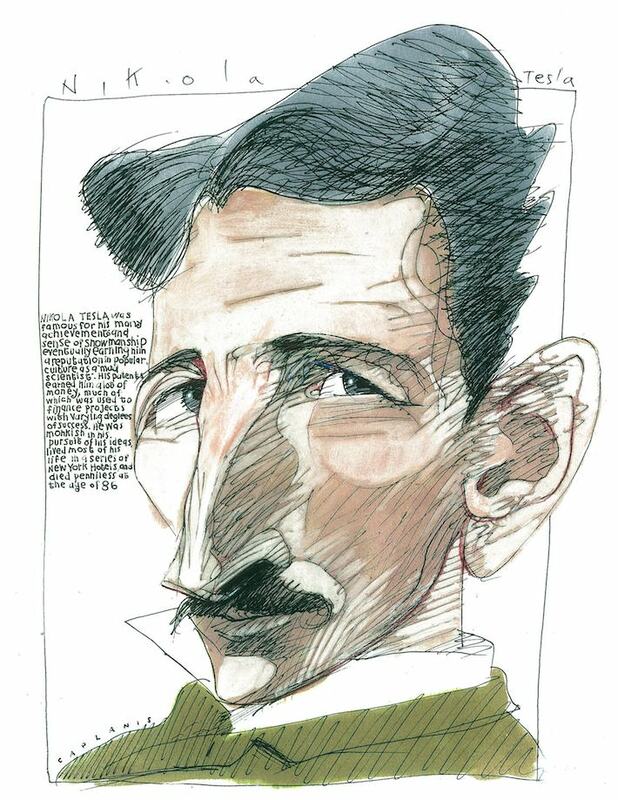 They’re a small sample of the historical figures drawn to heightened perfection by artist Mike Caplanis, whose work is on display through March 30 at the George Washington University Virginia Science and Technology Campus. The exhibit, “STEAM: Notable Men and Women in Science, Technology and the Arts,” showcases a range of pieces from his collection of more than 1,700 caricatures with a focus on the heroes of STEM—science, technology, engineering and math. Mr. Caplanis has been featured in the Washington Post, the Philadelphia Inquirer and the Los Angeles Times, among other publications. He is currently working on series of city caricatures, showcasing large metropolitan areas. George Washington Today spoke with Mr. Caplanis about six drawings in the exhibition and the inspiration for his work. 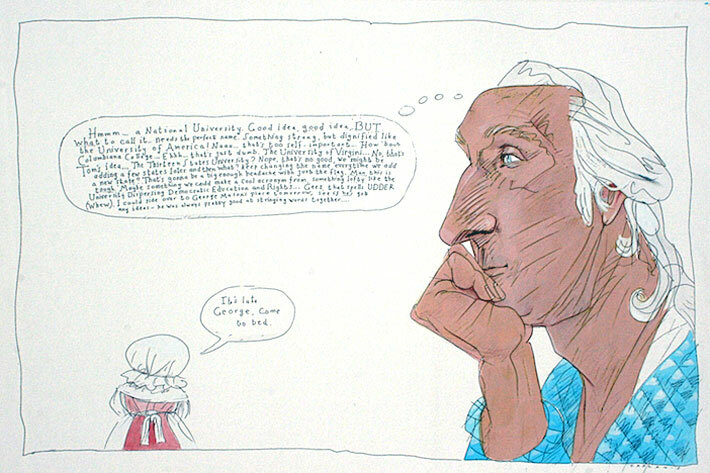 Mr. Caplanis drew the first president specifically for an exhibition at GW in 2008. He said the goal was to recognize the “small moment” when President Washington contemplates the creation of a national university as a part of his legacy— realizing its monumental importance in U.S. history. “This also is a humorous couples moment where Martha—who must have heard it all a thousand times—says in that long suffering way that any husband or wife recognizes, ‘it’s late George, come to bed,’” Mr. Caplanis said. Aviator, inventor and explorer Charles Lindbergh was the first man to complete a solo flight across the Atlantic Ocean in 1927. 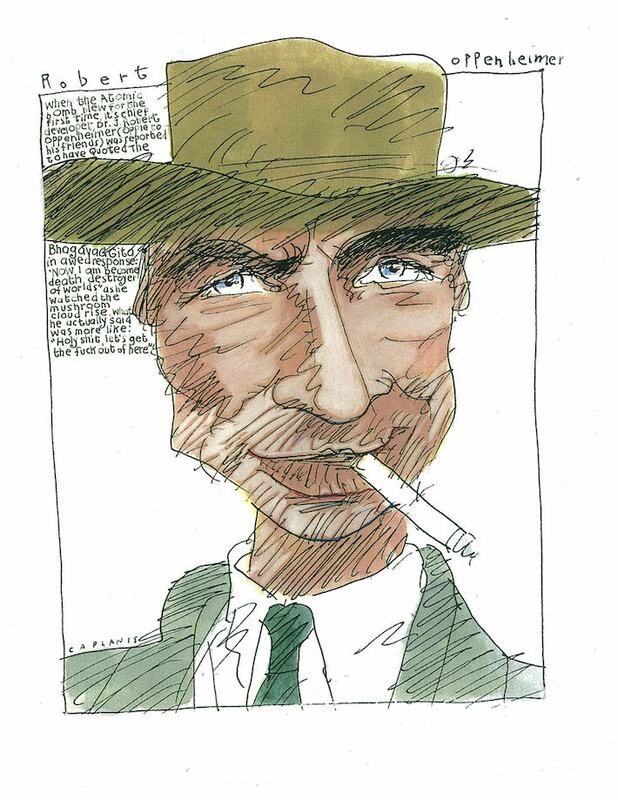 In the black and white drawing, the man known as “Lucky Lindy” has a stern, serious face. 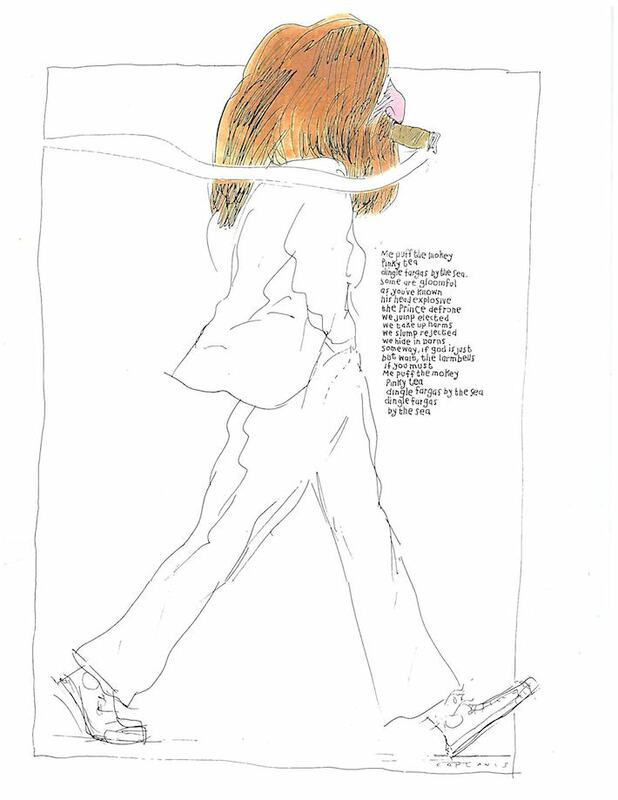 The legendary member of British band the Beatles is pictured walking away coolly in the drawing, his face obscured by “hippie-style” hair. Beside his figure is text written by Mr. Caplanis— a feature in many of the pieces. 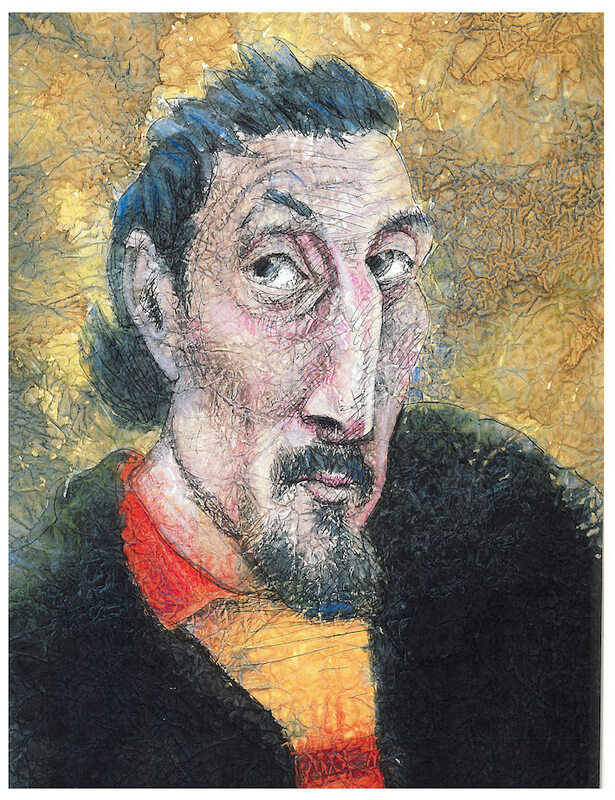 The French Post-Impressionist artist Paul Gauguin gained fame after his death for his paintings. A friend of Vincent Van Gogh, the eccentric painter is remembered for abandoning his job as a stockbroker and moving to the South Pacific to devote himself to art. “There are 40 pieces in the show. I’ve drawn caricatures all my life and it’s a terrific outlet for me,” Mr. Caplanis said.